And you can win them. The Beckhams are giving away the outfits they wore to the royal wedding to raise money for the “We Love Manchester” emergency fund. 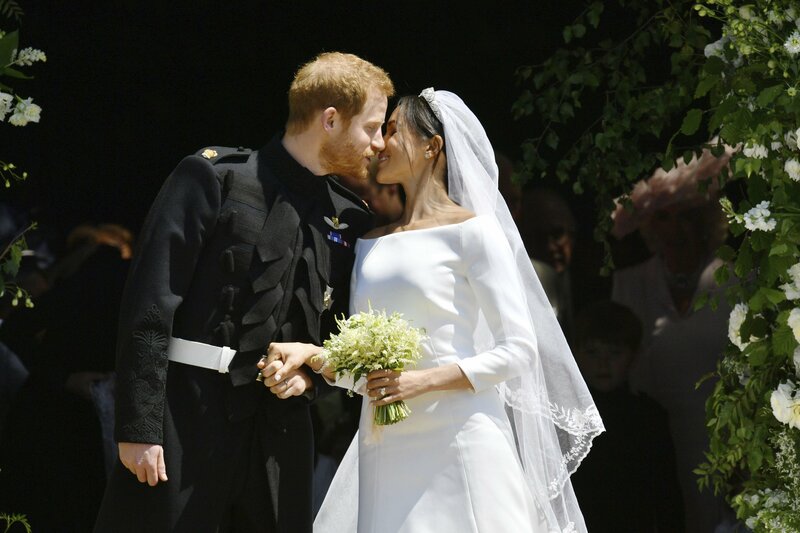 Power couple Victoria and David were among the crowd of royalty and celebrities that assembled in Windsor last month for the wedding of Meghan Markle and Prince Harry. Amal and George Clooney were there too, rubbing shoulders with the likes of Oprah Winfrey, Idris Elba, and Elton John. And Victoria and David have now teamed up with online fundraising platform Omaze to help support those impacted by the devastating Manchester bombing in May 2017. The We Love Manchester fund was set up shortly after the attack, which killed 22 people after an Ariana Grande concert. “Donations to the fund help relieve the financial needs among the victims and survivors of the disaster, including the families and dependents of those killed or injured in the events,” says the Omaze website. “As time passes and people around the world show their love, support, and solidarity, the Manchester community continues to grow stronger,” it adds. Those hoping to win the Beckham outfits will enter an online draw. For a $10 (£7.45) donation you get 100 entries to the draw, or you can donate varying amounts all the way up to $5,000 (£3,725), for 50,000 entries. In case you were wondering, David’s outfit was a charcoal grey Dior Homme custom-made morning suit, with his initials sewn on the inside, according to the Omaze website. The Omaze fundraising platform offers people the chance to win experiences and merchandise — all with an exclusive twist. Since its launch in 2012, the site has raised over $100 million, impacting over 200 charities and receiving donations from over 175 countries. Some of its most popular prizes have included a chance to be in “Star Wars: The Force Awakens”, which raised $4.3 million for UNICEF, and the offer of Samantha Bee’s “Nasty Woman” T-shirt, which raised $752,000 for Planned Parenthood. Global Citizen campaigns to achieve the UN’s Global Goals to end extreme poverty. We believe the world needs active global citizens who are engaged in the world, knowledgeable about its diversity, and passionate about change. You can join the movement by taking action here.